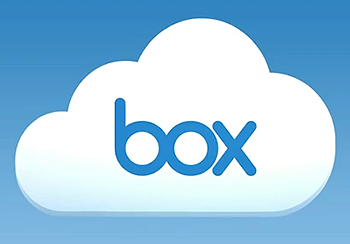 How To Delete Box.com Account :- Box.com is a online file sharing and hosting website which lets its user to store any files on their website and let all other computers or smartphone synced to the that file or folder so it is easier to access, modify and share that file or folder between company employees or users. We have received some mail on our website that many user of Box.com website want to delete their account. When we studied about this topic why users are deleting their account from the website we figure out that most of the people who are deleting their account from the website are receiving mails from company like promotional or newsletter which is making their mailbox look spammed while some say that they are using other cloud storage platform that’s why they want to delete their account. If you deleting your account just because of their newsletter or mail you can either mark the mail as spam by clicking on spam button given at top of your mail button or unsubscribe the mail by clicking unsubscribe link given at the bottom of the mail. If your reasons are other then i will guide you step by step method on how to delete your account from Box.com website. Box.com Company was founded by Aaron Levie, Dylan Smith, Sam Ghods and Jeff Queisser in 2005 and it is one of the best and free cloud storage website that can be accessed worldwide. Currently there are more than 1250 employees working in the company. There are two methods to delete your account from Box.com website which are given below :-. Go to following url “https://www.box.com/” and login to your account. Once you login to your account click on your username which is given at top right section next to upgrade button. When you click on username a drop down menu will appear click on ACCOUNT SETTINGS. On Account Settings page scroll down to section account information and click on link DEACTIVATE YOUR ACCOUNT. Once you click on deactivate you will be redirect to new page here scroll down and click on button CONTINUE WITH CANCELLATION. Now you will redirect to page where you need to enter your reason for deleting your account choose one reason from list and click on button SUBMIT ANSWER AND CANCEL ACCOUNT to permanently delete your account. For more information on How to Delete Box.com Account stay updated to this website.